Claim your FREE digital copy of The Power and Profits of Energy Stocks now. Don’t make a single move without this information. 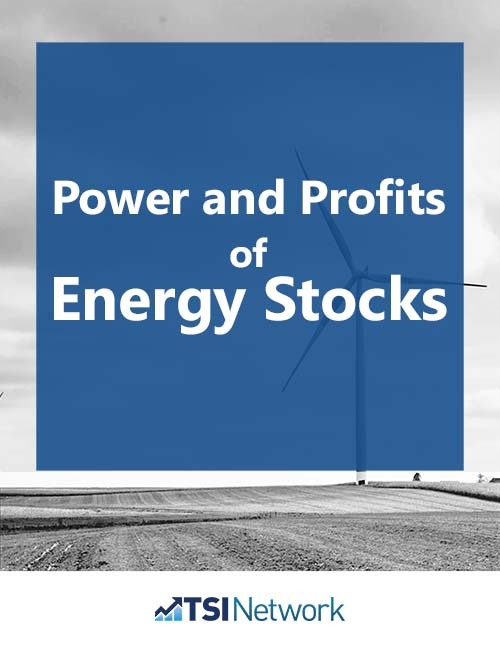 Get expert guidance on energy stock investing in this FREE Special Report from The Successful Investor, The Power and Profits of Energy Stocks now. The dramatic drop in oil prices that began in 2014 has been viewed, with good reason, as a significant crisis for the energy industry. But it is not new. Like all resource industries, oil and gas exploration and development are cyclical in nature. They react to evolving patterns of supply and demand. And when investors understand the cyclical challenges that face energy stocks, and how those stocks react to them, they have a much better chance of making profitable choices. In this report, we look at how oil and gas stocks are facing the challenges of the marketplace—and also how they are embracing advancing technology. The best energy stocks are successfully harnessing new technologies (like “octopus” drilling) and computer modelling to extract the most from their deposits. At the same time, our report spans the entire field of energy production. We look at the prospects for so-called alternative energies, solar and wind power. The question here is: when can investors expect consistently profitable returns from companies that will not be overtaken by a competitor with a better product, or undermined by dependence on fluctuating government subsidies? We also look at the growth of Liquefied Natural Gas (LNG) projects and how this is likely to affect the energy field—and investors—in years to come. In addition, we look at the uneven progress of nuclear power in different parts of the globe, its future as a source of energy, and the relative promise of uranium stocks. Whatever oil and gas prices do, the global need for energy is growing, and our report identifies the greatest areas of growth and the best way for investors to profit from each. And you will get four of our best recommendations in energy stocks today. In order words, you get the full benefit of our experience and advice on picking the best energy stocks in this special report, and it’s yours FREE. …why one of the most promising energy stocks is a railway. …how energy stocks provide a hedge against inflation. …why Canada has a number of big advantages in the race to export LNG. …which former oil and gas royalty trusts are still worth your investment dollars. …how to pick the best junior energy stocks out of a crowded and risky field. …why we pay close attention to geography when we pick energy stocks. And we’ll also reveal our strategy for uncovering oil exploration stocks with the greatest profit potential. In this report you’ll see how we guide investors toward the best choices in the evolving world of energy. Forward-thinking oil and gas stocks are improving their production and trimming their costs with new drilling techniques and computer technology that helps them make the most of their reserves. See how the best energy stocks get a distinct edge through advanced technology. Alternative energy companies may be the wave of the future, but they face a few “headwinds” now, including a heavy reliance on government subsidies, high construction costs and changing technology. Find out how to make well-informed choices as solar and wind power evolve. Oil and gas stocks—like other stocks in the resource industries—have a history of rising when inflation trends upward. This means that they have an extra role to play in your portfolio as a hedge against inflation. See what the outlook is for a rise in inflation and energy prices. China, Japan and South Korea are importing liquefied natural gas (LNG) at premium prices compared to other nations. See why Canada has a distinct advantage in the race to export more LNG to these countries. Discover how to set yourself up for future profits in this changing field. Prior to 2011 and the government’s distribution tax on income trusts, oil royalty trusts were among the most popular investments in Canada. Some are still sound investments as corporations. Find out why royalty trusts were riskier than you thought, and how to judge which ex-trusts make the best investments today. And there’s a great deal more to learn about energy stocks…including a detailed look at junior energy stocks and how to avoid excess risk and pick the potential winners. When the economy is doing well and commodity prices rise with the demand, many investors are willing to downplay risk and overlook potential pitfalls. When prices fall, many go the other way and focus almost entirely on risk. We do not believe investors should simply sell off energy stocks when prices recede, and buy them back when they rise again. After all, the need for energy continues to grow, at home and around the globe. Demand will continue to rise in emerging markets, even as their growth rates slow to more moderate levels. The secret for investors is not to go in and out of energy stocks, but to discover which companies do the best job of managing their resources, harnessing evolving technology and positioning themselves for long-term profit in an energy-hungry world. In this report,you’ll learn how to take a well-informed approach to energy stocks that can produce surprising profits even at a time of low prices. Too many investors believe that they should avoid energy stocks when prices are low. Others put too much faith in junior explorations stocks that have long odds of paying off. The guidance in this report, based on years of experience, helps you get a firm grasp on a sector that is a vital part of the Canadian economy—and of every well-balanced stock portfolio. You’ll see why when you download this report. You will learn how to measure the rise and fall in natural gas prices and make the right investment choices as a result. You will learn why Canada has tremendous potential for profit in liquefied natural gas (LNG) even though Canada is a late entrant in the LNG race. You will learn the hidden asset that gives Canada’s best energy stocks a big advantage now and for years to come. When you download The Power and Profits of Energy Stocks for FREE, you get clear, easy-to-follow advice on how to understand and profit from evolving trends in energy. You’ll discover the guidelines and specific approaches that will help you uncover the best energy stocks. We invite you to download this exceptional free report right away. We are sure you will enjoy it and profit from it.